Got yourself a new Samsung Galaxy S9 Plus/S9/S8? Great! If you are an iPhone user, then you have definitely faced this issue about sending videos from iPhone to Samsung. After all, videos are previous memories you will never want to lose.Reading this article will help you learn how to transfer video from iPhone to Samsung mobile. So just keep reading till the end to learn 5 ways. 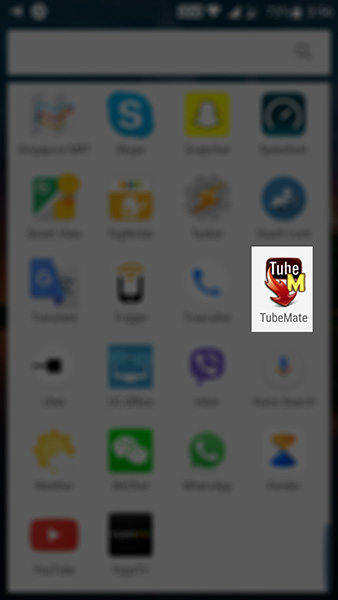 Tenorshare iCareFone is a unique software that can help you to send videos from iPhone to Samsung. The intuitive interface and operations make it easy to use for most of users. It can selectively export files like photos, videos, music from iPhone to your desired location, being it PC/Mac or your Samsung phone. So it's recommended at highest priority. Here is how to use this software and how to transfer videos from iPhone to Samsung phone. 1. Install and run Tenorshare iCareFone on your PC and connect your 2 devices to your PC by using a USB cable. 2. Now go to "File Manager" from the main interface. 3. Select "Videos" to transfer videos. 4. Choose the videos you want to transfer or select all. Now click on "Export to" tap and a small window will pop up, allowing you to select the location of the Samsung device. Google Drive is a very easy way to transfer videos from iPhone to Samsung. You can use Google Drive in a very easy, understanding method. There is no storage issue as Google+ uses the cloud storage from Google Drive. 1. Connect both of your iPhone and Samsung phone to Wi-Fi. 4. Now run Google+ on your Samsung phone and sign into your Google account. SHAREit is one of the fastest apps that can be used to send videos from iPhone to Samsung. SHAREit can be a big solution for you, if you want to know how to get videos from iPhone to Samsung. Here is how to do it. 1. Run SHAREit on your iPhone. Tap on "Send" option and you can select files to share by going to the "Video" tab. After choosing video files, tap on the "OK" button. 2. Run SHARTit app on your Samsung phone. Tap on the "Receive" button. Wait till your Samsung phone is detected by your iPhone. 3. Check your iPhone and you will find your Samsung device on the scan. You will be able to see the avatar of your Samsung device. Tap on that avatar and the videos will be sent to your Samsung device. Drag and Drop is a very simple and easy way to send videos from iPhone to Samsung. You can simply drag the data files from iPhone's video/data folder to Samsung's video/data folder, based on iTunes is preinstalled. A PC and the USB cables for both your iPhone and Samsung phone is a must needed thing here. 1. Connect both of your iPhone and Samsungdevices in your PC, by using a USB cable. 3. You will find images and videos in the "DCIM" or "Videos" folder of your iPhone, now drag and drop them to your Samsung image or video folder. Email is a very easy way for you to learn how to transfer video from iPhone to Samsung phone. But you can't send large files via Email and it can be an issue when sending large files. Only small files less than 20 MB (Approx.) is allowed in each Email. 1. 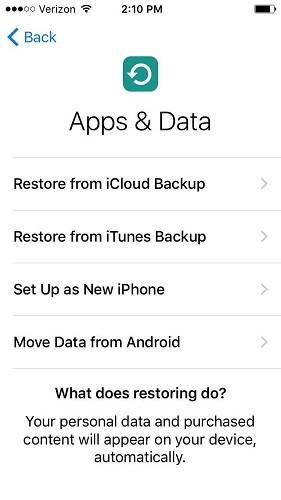 First select the videos you want to transfer on your iPhone albums. 2. Tap the share icon on the lower left and select Email. 3. The selected videos will be automatically attachment and you can enter the Email address to receive on Samsung. 4. Log into your email from your Samsung phone and download the video to internal memory. After reading this article, it's obvious that you don't have any confusion about how you can transfer videos from iPhone to Samsung device. We can say that the best way to transfer any kind of files from iPhone to Samsung or Mac/PC is using Tenorshare iCareFone. This software is the best iPhone file transfer software on the internet and you will also love itafter you use it for the first time.